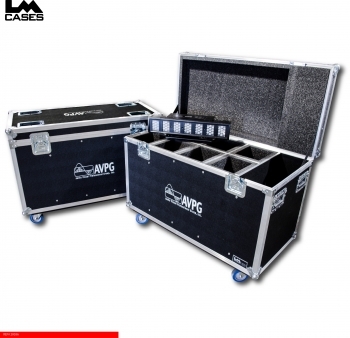 This case was built for the Audio Visual Professional Group to hold 8 Elation Design Brick 70 light fixtures. 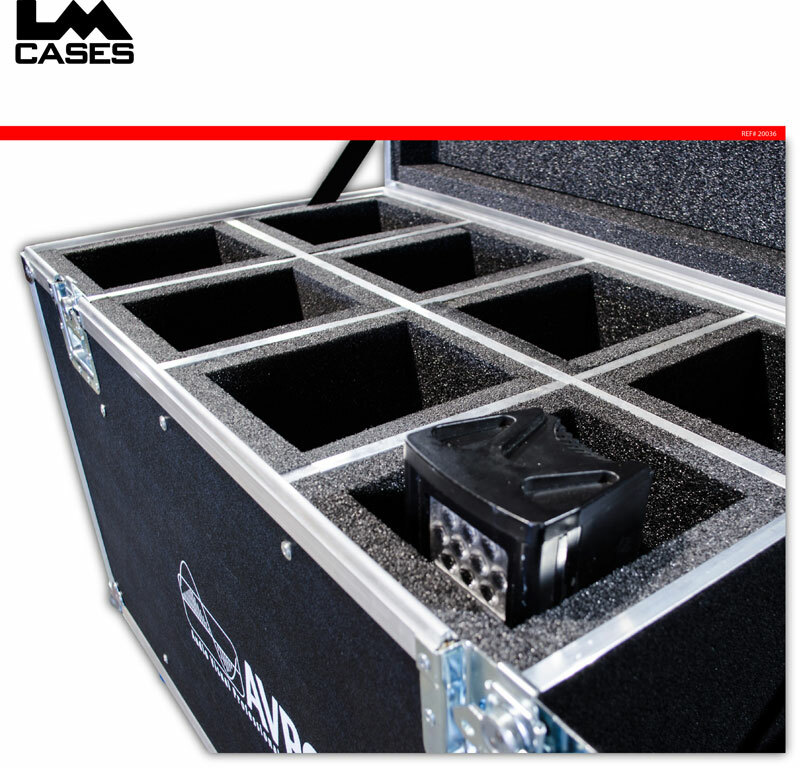 The case holds each fixture in a 1" PE foam lined compartment with 2" of PE foam under each unit. The case interior also features a large accessory compartment for cables. The exterior case is dimensionally designed around a 90" truck pack and features 4" Colson casters, deep recessed handles and a custom silkscreen of the AVPG logo.